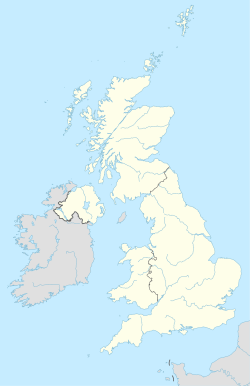 The TN postcode area, also known as the Tunbridge Wells postcode area, is a group of 40 postcode districts in England, which are subdivisions of 24 post towns. These postcode districts cover south Kent (including Royal Tunbridge Wells, Tonbridge, Ashford, Sevenoaks, Cranbrook, Edenbridge, New Romney, Romney Marsh and Tenterden) and northern and eastern East Sussex (including Hastings, Battle, Bexhill-on-Sea, Crowborough, Etchingham, Hartfield, Heathfield, Mayfield, Robertsbridge, Rye, St Leonards-on-Sea, Uckfield, Wadhurst and Winchelsea). Additionally, small parts of TN14 and TN16 cover the rural southern part of the London Borough of Bromley, while TN16 also covers the village of Tatsfield which, although in the county of Surrey, has a Kent postal address. Mail for this area is sorted at the Royal Mail Sorting Office in Rochester, which also sorts all mail from the adjoining ME postcode area. Main delivery offices are located at Ashford, Bexhill, Biggin Hill, Cranbrook, Crowborough, Edenbridge, Heathfield, New Romney, Rye, Sevenoaks, St Leonards, Tenterden, Tonbridge, Tunbridge Wells and Uckfield. Scale Payment Delivery Offices are located within Post Offices at Appledore, Bethersden, Brabourne Lees, Charing, Egerton, Etchingham, Headcorn, Marden, Robertsbridge, Smarden, Staplehurst and Woodchurch. TN postcode area map, showing postcode districts in red and post towns in grey text, with links to nearby BN, BR, CR, CT, DA, ME, RH and SE postcode areas. As of this edit, this article uses content from "Mapping data and geographic information from Ordnance Survey", which is licensed in a way that permits reuse under the Creative Commons Attribution-ShareAlike 3.0 Unported License, but not under the GFDL. All relevant terms must be followed. ^ Local authority data obtained from OS OpenData Code-Point Open. Contains Ordnance Survey data © Crown copyright and database right 2010 and contains Royal Mail data © Royal Mail copyright and database right 2010, under licence. Local authorities only listed for postcode districts having at least 5% of their postcodes from that authority, to exclude erroneous, fringe and non-geographical cases.